The 2016 episodic revival of the Hitman franchise took one of the best premises in video games and modernized it. Series protagonist Agent 47, an amnesiac killer savant who works for a mysterious organization, uncovers his troubled past while he takes on hitman contracts. Developer IO Interactive turned the hiding-in-plain-sight murder simulator into open-ended levels that encouraged players to replay and master. I loved seeing how the game’s outlandish scenarios could build towards the perfect assassination, or alternatively, how to make the most of a botched job. Hitman 2 builds on the structure of the first season of Hitman, making a lot of smart quality-of-life improvements that somehow make planned kills easier to execute and improvised situations more manageable. The levels this time around are a better mix of locales, and each mission’s cutscenes tell intriguing stories in short vignettes. However, there are some design choices that make the sequel feel slight and less of a revelation than its predecessor. Played: Completed Hitman 2 Campaign on Professional in 9 hours. Replayed some levels and played improved Hitman First Season levels. Hitman 2 was reviewed using a final retail copy purchased by the reviewer. For starters, Hitman 2’s isn’t episodic. You’re able to play all five of its new levels from the start without having to wait a month for a new one to be released. 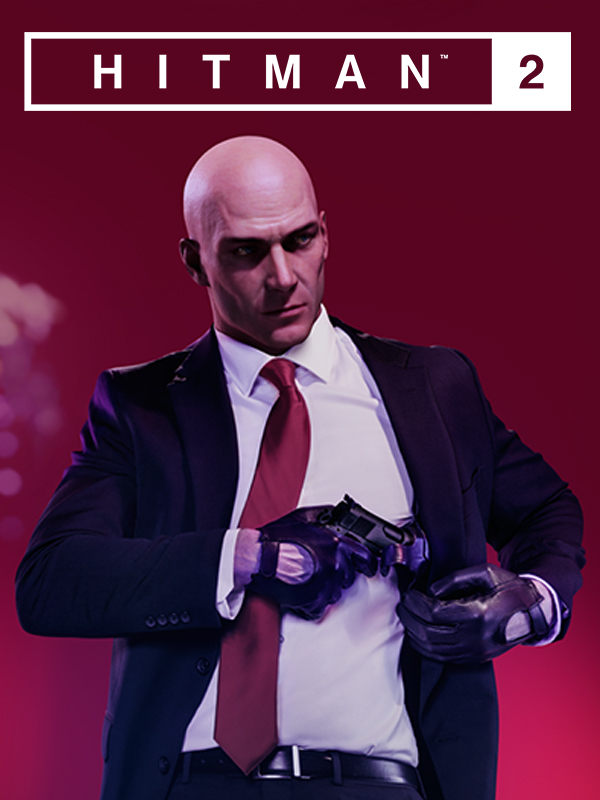 If you own Hitman, you’ll see those same playable levels bundled in Hitman 2’s menus, making both games feel like one complete, continuous package. If you don’t own Hitman, it only costs $20 to tack on the first season’s maps. Don’t think of Hitman 2 as just a new level pack released all at once, despite how similar things look and feel. The game kicks off with a small beach house tutorial map meant to ease players back into Agent 47’s shoes. From there, you’ll head to a Miami racetrack, a Columbian village, slums in Mumbai, a suburb of Vermont, and a mysterious island. While the first game focused on locations that toured the lifestyles of the rich and famous, Hitman 2’s mix of levels captures something closer to a spy film in both international destinations and more everyday settings. The assassination opportunities are also more over the top. Sure, you could run up to each target, choke them out with the fiber wire before fleeing, but exploiting the ridiculous disguises and situations to fool criminals into a false sense of security is the joy of Hitman. The last level in particular is a tour de force and feels more like a final exam of what you have learned over the previous four levels. My one complaint is that some of the Mission Stories, objectives intended to get you close to the target to murder them in a specific way, don’t fully complete the breadcrumb trail as much as you would like. You’ll also find that the game is friendlier on the stealth front than most stealth games. Tall grass and the ability to blend into crowds Assassin’s Creed-style has made navigating the bigger levels easier, and a cool picture-in-picture in the top left of your HUD indicates when you’ve been spotted by a camera or someone discovered a body. Briefcases have also been added to help you sneak weapons and grenades past security checkpoints where you’re frisked. Agent 47 isn’t the world’s most agile murderer, but the game’s tighter controls paired with these new quality-of-life improvements more than compensate for his stiffness. Hitman 2 is less of a guessing game than its predecessor, playing out more like a clockwork game of murder chess in anticipating how all the pieces come together. Though the campaign is brief, its cutscenes connect the plot much better this time around. The Hitman franchise has a really insane and deep lore I don’t want to get into, but if 2016 Hitman felt like the movie Batman Begins, Hitman 2 is more akin to The Dark Knight. 47’s handler Diana Burnwood’s story gets fleshed out as a dramatic character here compared to the faceless adviser she was before. I especially loved the story’s final twist; there’s an appropriate amount of intrigue as things wrap up. From a production standpoint though, Hitman 2 is a slight disappointment. The cutscenes are more of a stop motion graphic even though the character models are fully 3D, and the camera cuts to different characters to indicate dialogue. If you watch the cutscenes from the previous Hitman, this is not the case, so why the step backwards? On the PC, I also ran into some bugs with the picture-in-picture feature cutting out the ground beneath bodies, objective markers disappearing, and some noticeable interlacing near water areas. These aren’t immersion breaking issues, but when the rest of the game feels high caliber, they stand out. There are also two new modes: Sniper Assassin and Ghost. Sniper Assassin plops you into a level where you must eliminate specified targets with a sniper rifle. It’s okay, but the gunplay in Hitman 2 is not especially precise. Ghost is also a multiplayer mode where two players go head-to-head to eliminate targets in the same world, with the first to five points winning. Hitman encourages methodical play, so having the multiplayer feel like a race is odd. As of this writing, the mode is in beta, so it may be fleshed out later. For now, I would recommend passing on it. All in all, Hitman 2 is an iterative sequel, which is not a bad thing since the original was excellent. The promise of elusive targets and more DLC maps is exciting, with the first being a cameo from Sean Bean (“The Undying”, a joke about Bean’s penchant for acting roles where he dies). For now though, replaying Hitman 2’s levels will more than sate the strategist in me, and I look forward to seeing where future Hitman content takes the story. "Hitman 2 is more Hitman, with some minor improvements that make assassinating your marks more satisfying overall."